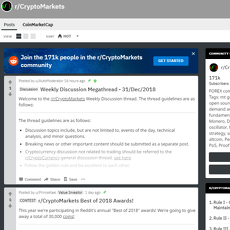 r/Altcoin is one of the best places where you can get fast updates about Altcoin and other blockchain related issues. 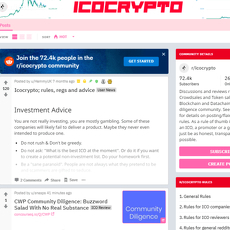 There are things which are related to Altcoin which most sites won’t give to you but on r/Altcoin, you can get all you need. 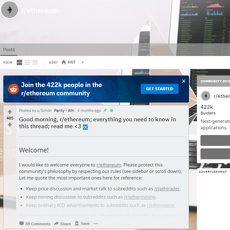 The site brings you news on blockchain projects like Ethereum, Ripple, Lisk, Ark, Stellar, etc. 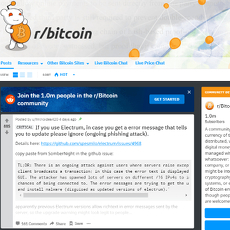 The site is well-designed with nice themes and it ensures posts are not placed into segments. 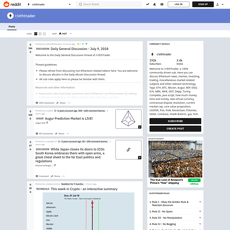 The category on Reddit brings you news by the hour and you can pin, save, report or hide post depending on how you find the content. 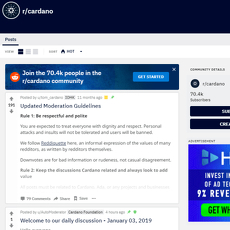 Information on the site is brought to you by registered moderators on the site and you can join their thousands of subscribers by clicking on Subscribe at the top side of the page. 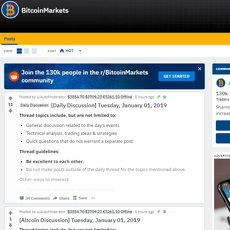 Although, posts on the site are divided into 4; Hot posts, New Posts, Top posts and Controversial posts, most of them are not exactly updated every hour i.e. you could find a post from 18 hours ago, then another 10 hours ago. 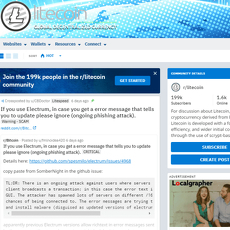 Also, the site displays the number of subscribers on r/Altcoin and hundreds of them being active online. 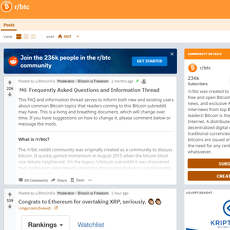 Unlike most sites with a discussion section, r/Altcoin doesn’t have a discussion section and few of the post have pictures attached to them for easy understanding. 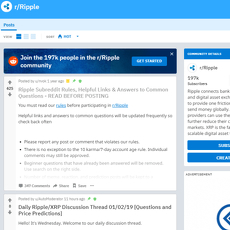 Comments, Votes and Sharing to the social community is welcomed. 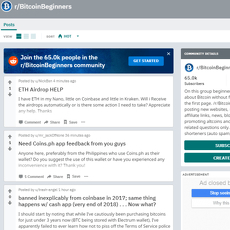 Posts have been classified into 4 categories for easy navigation. 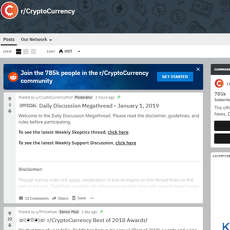 Brings top news on Altcoin and blockchain related projects. Most of the posts have no attachment. All post are not be classified into segments.